In 1976, a group of 14 PLNU students asked themselves questions that still resonate today: How can we challenge the status quo without destroying the system? How can we disagree and not disengage? How can we speak our truth and not be expelled from school? Many of the 14 students had written controversial articles for the official student newspaper, The Point. When it was shut down for running features and editorials that the administration thought crossed the line from free speech to disrespect for individuals and institutions, the students published an unauthorized, underground student newspaper called The Blunt. How can we disagree and not disengage? How can we speak our truth and not be expelled from school? 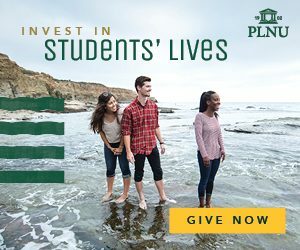 Even though the “Bluntees,” as they were called as students, were known for challenging university policies and administration, they ultimately chose to stay connected to PLNU. Today, they are known for supporting creative and courageous students who continue challenging campus norms through an endowed scholarship named in honor of their faculty mentors: Noel Riley Fitch, Ph.D., and David Michael McKinney, Ph.D.
Their story of dissent and re-engagement with their alma mater is a rare one, and one that is still relevant today. While many students supported PLNU’s policies of the time related to such issues, others wanted to challenge certain ideas and push the boundaries. Christensen said the co-editors of The Point were “leading voices on the radical edge, seeking to influence policies and promote social change.” The co-editors, Donna Baxter Seaton (77) and Carol Foster-Breeze (77) were particularly interested in issues related to gender bias and double standards. Under their leadership, The Point took on controversial issues, questioned authority, and stirred debate in the fall of 1975. Before the end of the semester, Foster-Breeze resigned as co-editor to focus on her pre-med studies. Christensen became the next co-editor and took up the mantle of asking hard questions in the spring of 1976. He said that some of the “hot topics” covered that year were whether the “violent Crusader-with-a-sword image” was an appropriate school mascot; whether it was fair that the women’s dorms had curfew hours but the men’s did not; whether the Nazarene anti-movie and anti-dancing rules should be removed from the school pledge; and whether the treatment of students suspected to be homosexual was appropriate. The paper also included critiques and satires about dating and marriage. 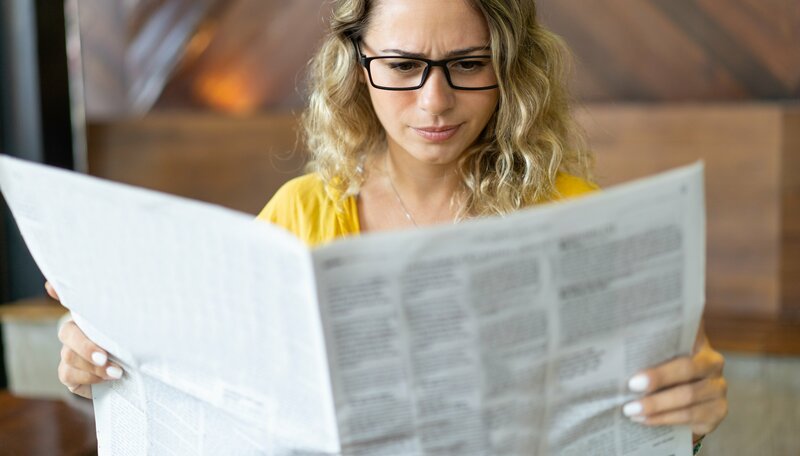 The satirical humor often added to the controversy surrounding the articles as not everyone understood that such pieces were meant to be tongue-in-cheek. The students believed it was important to question authority and write with a radical edge, even if it meant risking their enrollment status. While some among the administration and faculty were frustrated with them, others admired their courage and tenacity. The Point was temporarily suspended by the administration over the controversies it was creating. The paper’s faculty advisors, Riley Fitch and McKinney, resigned from advising student publications in order to support the students and freedom of the press. A new editor of the Point was appointed. Meanwhile, a group of former Point staff writers and their friends decided to publish The Blunt. The rogue, underground paper continued to give voice to challenging ideas and satires in the spring of 1976. “I’ve got to tell you how impressive those Blunt students were, and what stars they are in the world today,” added Dean Nelson, Ph.D., current director of PLNU’s journalism program. “They wanted to improve the school, not tear it down,” explained Carol Blessing, Ph.D., current chair of the Department of Literature, Journalism, Writing & Languages, who serves as liaison to the independent Blunt Scholarship selection committee composed of original Bluntees. Related Article: How a literature professor’s simple idea grew into a 30 year tradition at PLNU. As reported in the book For Zion’s Sake by Ron Kirkemo, Ph.D., then-President Shelbourne Brown, Ph.D., questioned the students’ methods but believed their faith and intentions were good. 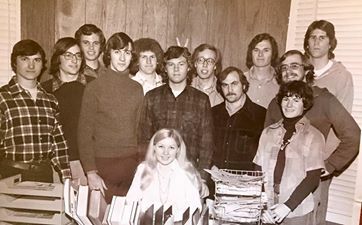 Nevertheless, after the group published a second issue of The Blunt in 1976, most of the students involved were either “suspended or threatened with suspension and invited to re-apply for the fall,” according to Christensen. 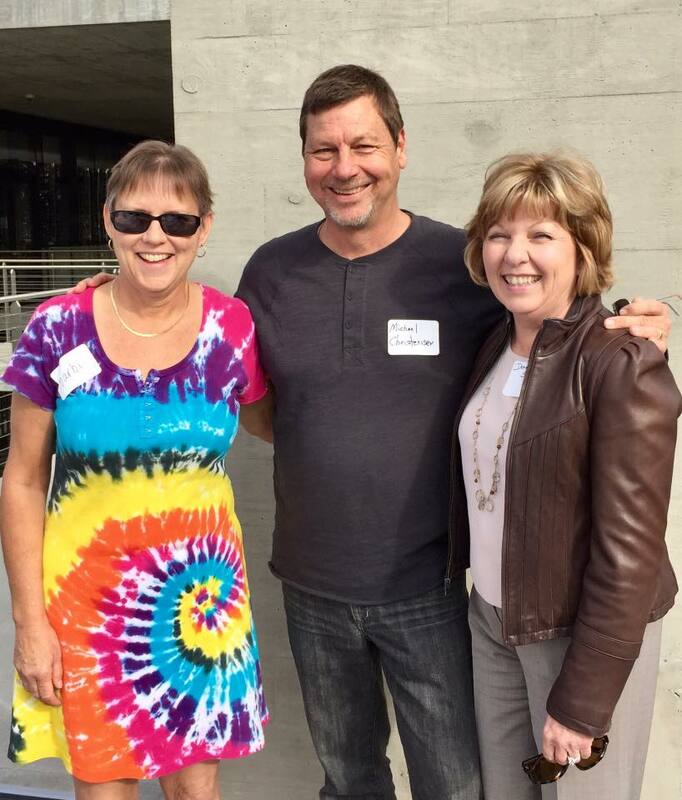 Not all of the staff writers of The Blunt returned to Point Loma the following fall. “The purpose of the Blunt Scholarship is to support witty, gifted and idealistic students with a radical edge who write and publish their works. The ideal candidate will be someone with intellectual curiosity, who is well read, socially conscious, and who has formed opinions and beliefs that challenge the status quo. Candidates should feel a sense of responsibility to the larger community and have thought about their relationship to it,” says the official description. The purpose of the Blunt Scholarship is to support witty, gifted and idealistic students with a radical edge who write and publish their works. The ideal candidate will be someone with intellectual curiosity, who is well read, socially conscious, and who has formed opinions and beliefs that challenge the status quo. When the Blunt group, led by Christensen and Foster-Breeze, proposed and initiated the scholarship, they funded it themselves with a $15,000 endowment. Fans and friends of the Blunt added more and helped it grow to $25,000. A selection committee composed entirely of original Blunt members works with a current faculty member to select and award $1,000 each year to a student who meets the qualifications set by the group. Christensen hopes others who appreciate the group’s ideals will contribute to grow the endowment to $100,000 and allow it to make an even greater impact in the lives of students. Michael Christensen, Ph.D. (77) (middle) and Donna Baxter Seaton (77) (right), are former co-editors of The Point and contributors to The Blunt. The 2019 Blunt Scholarship recipient was just selected. Emilyn (Emy) Giddings will receive a $1,000 scholarship in support of her writing for the academic year 2019-2020. “As Ivey said, it’s validating to have people notice,” said Jordan Hill who won the scholarship in 2016. “But most importantly, to notice, and then give you a thousand dollars.” Hill is now studying creative writing at Florida International University. Related Article: Kara Watkins shares about the role financial aid played in helping her attend PLNU. The spirit of The Blunt is about being bold, asking the tough questions, and pushing the envelope. I think these are important character traits – and they certainly are to me as a journalist – so I’m proud to be a part of a group that celebrates these ideas and pushes them forward. Ellen Huang, the 2017 recipient also appreciates the sense of community she has found as a Bluntee. The original Blunt writers set an example for today’s students to follow. They demonstrated that it is possible to object or dissent and still remain faithful to one’s community, church, school or nation. That message is especially resonant today. To contribute to the Blunt Scholarship, please contact the Office of University Advancement at giving@pointloma.edu or (619) 849-2302. Related Article: From homelessness and couch-surfing in high school to graduating college debt-free.